Didier Deschamps believes the current Juventus team are as competitive as the side he played in which won the Champions League 1996. The ex-Juventus player and coach was asked about the current incarnation of Juve and the liklihood of seeing Paul Pogba back in black and white next season. 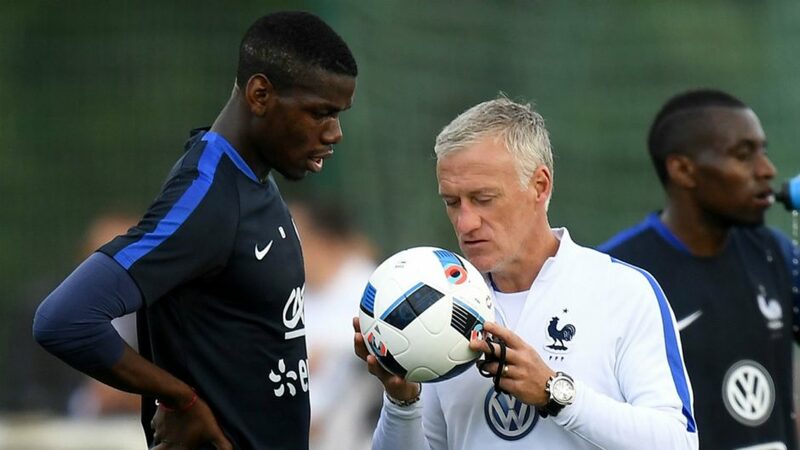 “All of Manchester United are in trouble, Pogba is still the same and is one of the best midfielders in the world,” Deschamps told Gazzetta dello Sport. “Maybe the fans hadn’t dreamt of Cristiano Ronaldo, who ended up signing. Sometimes dreams come true, but compared to a few years ago it would cost Juve a lot more to buy Pogba now. “Are the Juve of today as good as mine, with whom I won the Champions League in 1996? But then we lost two Finals in a row. “Juventus have now returned to the top in Italy and Europe. Winning the Champions League is like winning a World Cup. “Indeed, there are many teams who start out as contenders for the Champions League, 7-8 teams who can legitimately aspire to go all the way. “Ultimately, however, there’s only one winner. Allegri’s Juve are as competitive as the Juve side I played in. “The difference is also made by details. This Juve have the means to be among the favourites. Cristiano Ronaldo makes winning the Champions League almost obligatory? Certainly with him Juve are even more competitive, but we’ll only have the answer in spring. “However, Juventus are guaranteed a player who knows how to be decisive at important moments.